Hamilton, NJ, May 1, 2018 – Millions of Americans are counting down the days until their summer vacations, with most U.S. travelers planning trips to warm-weather destinations. 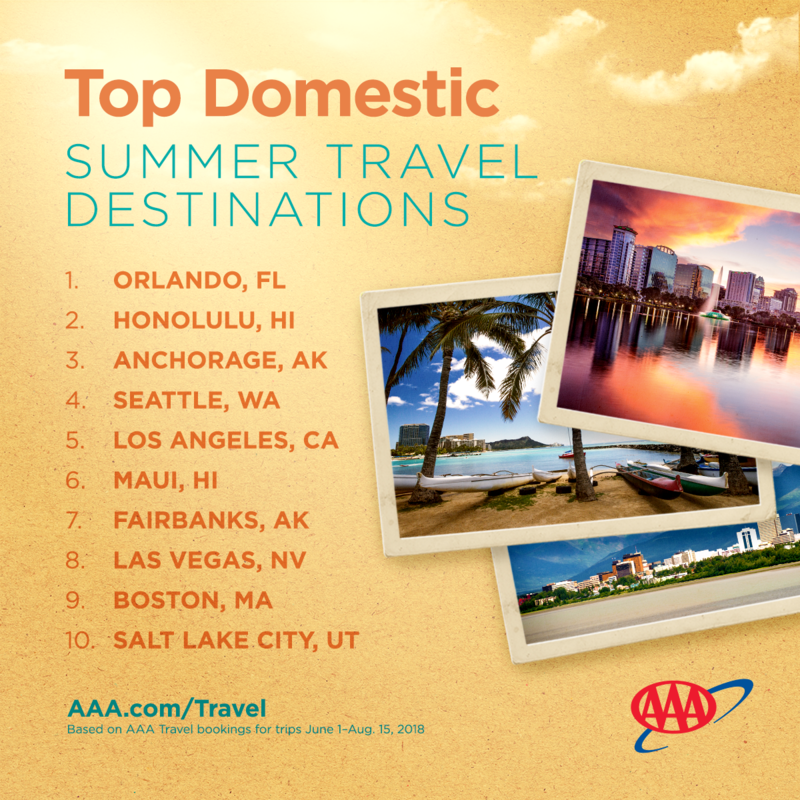 Orlando has retained its top spot as the most visited domestic travel destination, while Honolulu and Maui, Hawaii, have both grown in popularity compared with last summer. AAAprovides automotive, travel, and insurance services to 58million members nationwide and nearly two million members in New Jersey.AAA advocates for the safety and mobility of its members and has been committed to outstanding road service for more than 100 years. AAA is a non-stock, non-profit corporation working on behalf of motorists, who can now map a route, find local gas prices, discover discounts, book a hotel, and track their roadside assistance service with the AAA Mobile app (AAA.com/mobile) for iPhone, iPad and Android. 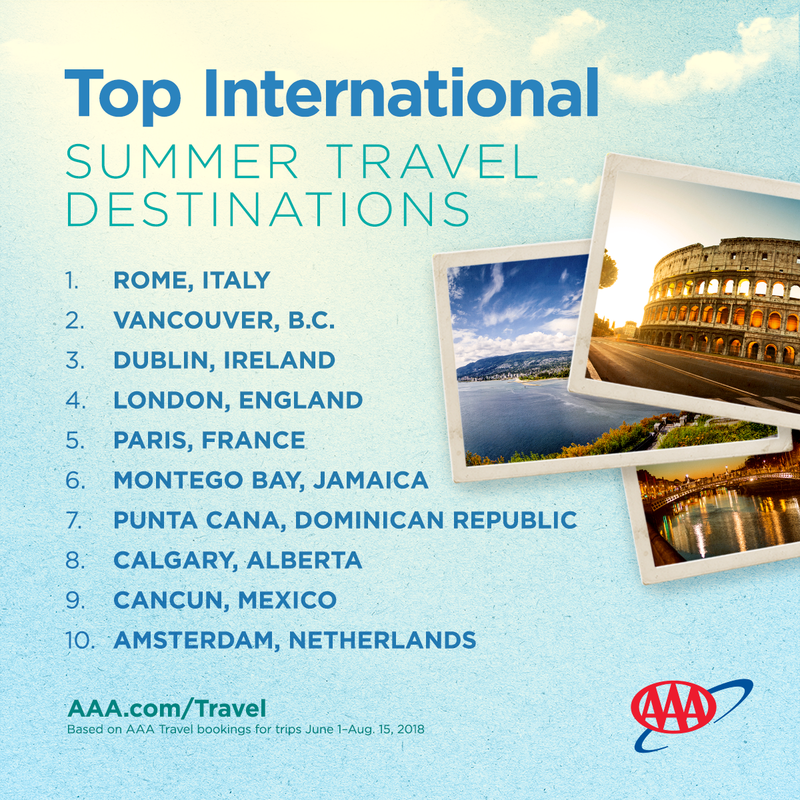 For more information, visitwww.AAA.com.